“Open for me your cabinet of Patterns, and I open for you a record, which, but for these half-forgotten witnesses, would have disappeared under the finger of Time. ....Now, only these live to tell the tale of what might have been.” Those words of Mint Curator Patterson DuBois in the January 1883 American Journal of Numismatics still speak volumes about this often neglected area of U.S. numismatics. Even more than their intended-for-commerce brethren, patterns reflect the events, economics and personalities of their time. 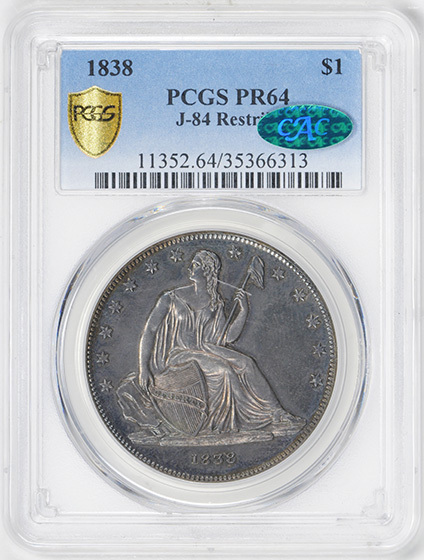 The status, origins, the very definition of these frequently enigmatic pieces have been a subject of fascination and debate ever since the little-known Mint products first came to the attention of collectors in the 1830s. 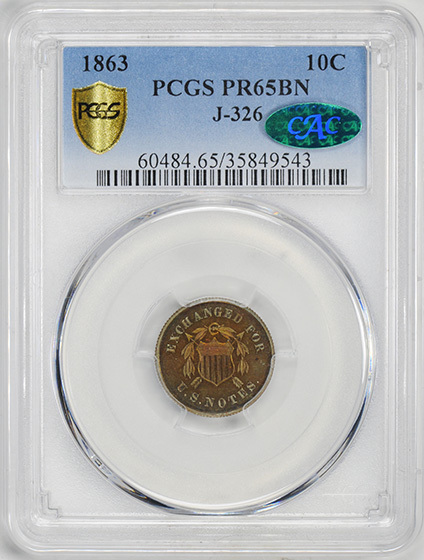 In his 1994 reference United States Patterns and Related Issues, numismatic researcher Andrew W. Pollock III defines a pattern as “an experimental piece which either illustrates a proposed coinage design, or which embodies a proposed innovation of composition, size, or shape.” Pollock acknowledges, however, that numismatists have traditionally employed a much broader definition of the word: experimental pieces, die trials, unofficial pieces and the often more nefarious restrikes and “pieces de caprice” made primarily for collectors also fall under this heading. 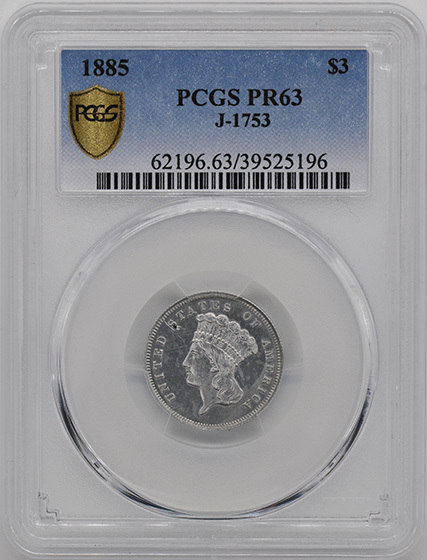 Produced sporadically since the Mint’s earliest days, patterns drew little attention from anyone outside the Philadelphia facility until 1836, when the popular Gobrecht dollars first appeared. The closing years of the decade, which witnessed the beginning of the Mint’s own cabinet of coins, saw more Gobrecht's produced, along with several half dollar designs. Pattern production then slowed to a trickle until 1849, when designs for a three-cent piece, a gold dollar and a twenty-dollar coin were proposed. After James Ross Snowden became Mint Director in 1853, the Mint’s output of patterns increased dramatically. 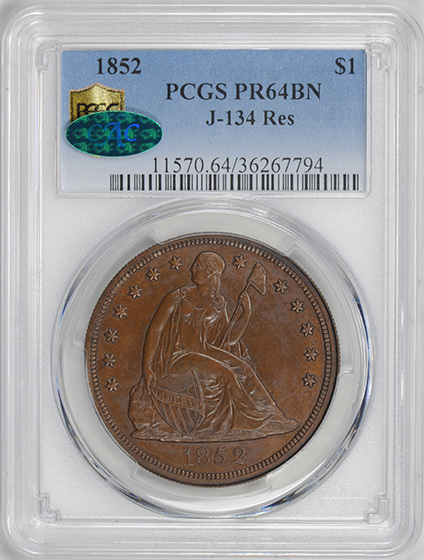 Snowden’s tenure encompassed the creation of many one-cent designs, culminating in a large number of Flying Eagle and Indian Head cents issued from 1856 to 1858. 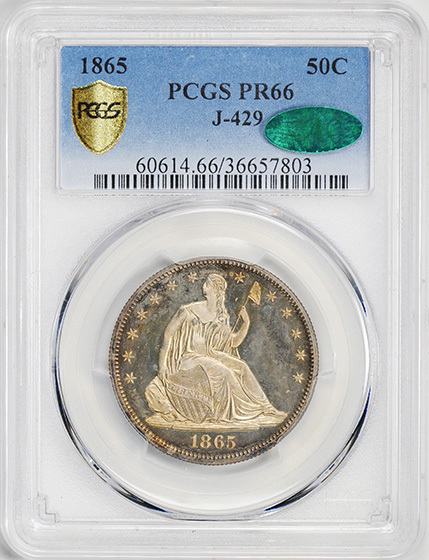 With the passing of the old large cents, coin collecting in the United States became quite popular, and in 1858, proofs were offered to collectors for the first time. Snowden was not at all adverse to taking advantage of this new demand and was particularly pleased that collectors would willingly trade coins needed for the Mint Collection in exchange for rarities they lacked in their own. In a letter dated January 11, 1859, Snowden discussed this with Treasury Secretary Howell Cobb. The agile director first complained about the demands collectors were making for rare pieces and then suggested a profitable solution. “I propose with your approbation to check this traffic and at the same time gratify a taste which has lately greatly increased in this country..., by striking some of each kind and affixing a price to them so that the profits may inure to the benefit of the Mint Cabinet of Coins and ores...” Cobb’s answer does not survive, but “striking some of each kind” became an ongoing Mint sideline that created many rarities as eagerly sought by today’s collectors as they were by those of yesterday. 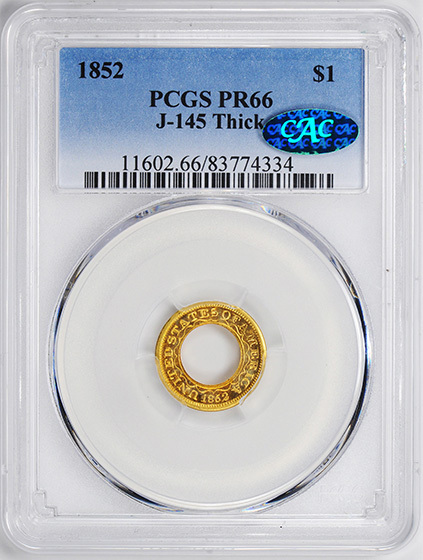 Succeeding Mint Directors such as Snowden, James Pollock and Dr. Henry-Linderman readily supplied such issues as 1804 dollars, proof half cents, Gobrecht dollars and a wide variety of patterns to well-heeled and well-connected collectors. By 1861, as the dark cloud of the Civil War descended upon the nation, experiments with religious mottos accounted for many new proposals. 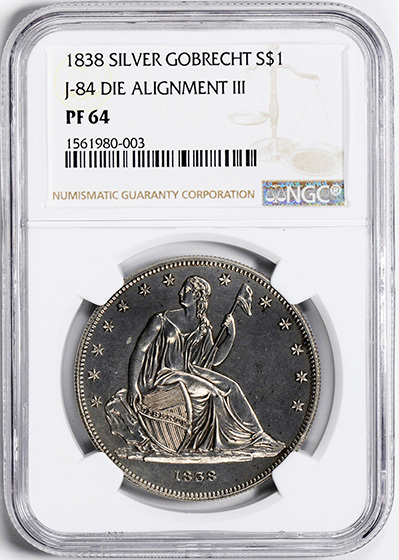 After the motto IN GOD WE TRUST was adopted in 1864-66, designs for a new nickel five-cent piece took center stage. It was around this time that aluminum was first used in the Mint, and complete sets of the regular issues in that metal were made, reportedly for Mint Director Henry R. Linderman. It was on Linderman’s watch that restrikes of both regular issues and patterns really came into full swing. 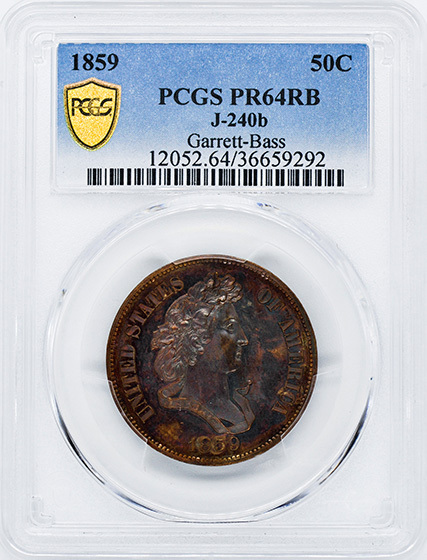 Unlike his predecessors, who sought only to embellish the Mint’s own collection, Linderman was not at all reluctant to have coins struck on his own behalf. One conduit through which these pieces left the Mint was Philadelphia pharmacist and numismatic “insider” R. Coulton Davis (1813-1888). 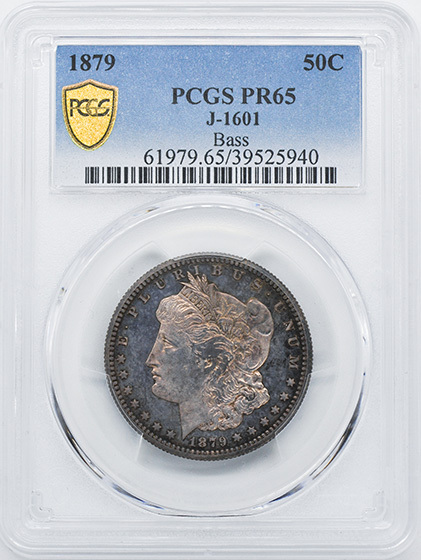 Davis published the first catalog of U.S. pattern coins as a series in the American Journal of Numismatics, 1885-87. The late Walter Breen attributed Davis’ favored status to his willingness to supply key personnel with opium-based patent medicines then in widespread use. 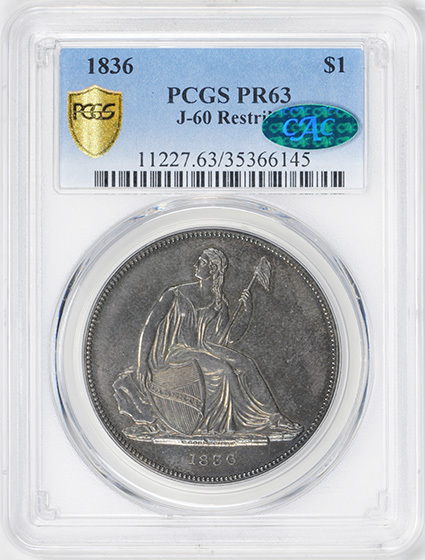 In 1869, with silver coins absent from circulation since the Civil War, a new lighter weight “Standard Silver” design was proposed to replace the generally despised fractional currency that served as small change. 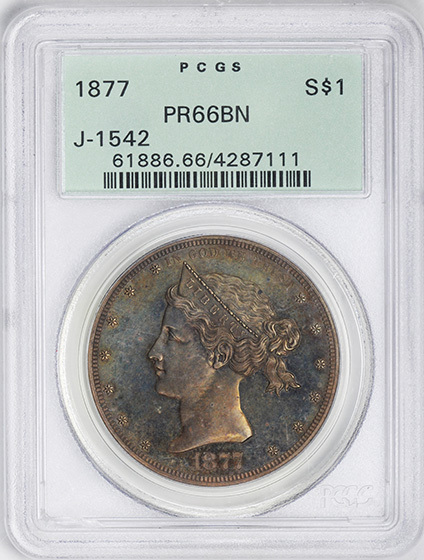 But it was international commerce that held Congress’ attention by 1871, as a proposed “commercial” dollar for overseas commerce prompted a series of Trade dollar patterns, and James Longacre’s “Indian Princess” graced a whole run of silver coins. The decade continued with a diverse group of designs, from William Barber’s “Amazonian” motifs for silver and gold to twenty-cent pieces and metric gold pieces. 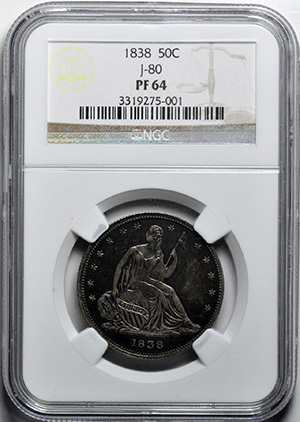 1876 was the year of the silver dollar, and 1877 the year of the half—both dollars and unions that is, the half union being the ill-fated $50 denomination. 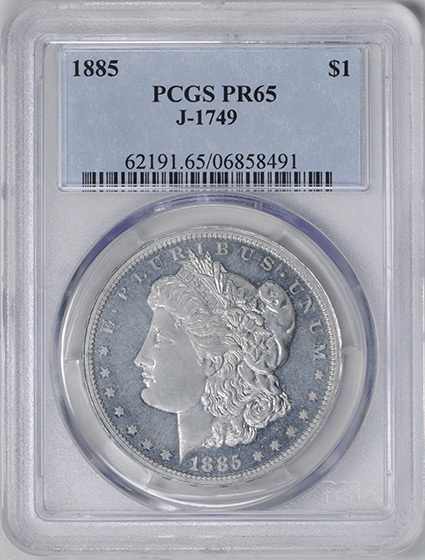 Morgan dollar patterns debuted in 1878, along with a slew of proposals for metric and goloid coins. The “Washlady” and “Schoolgirl” silver designs appeared in 1879, followed by nickels in 1881 and the popular “Shield Earring” coins in 1882. 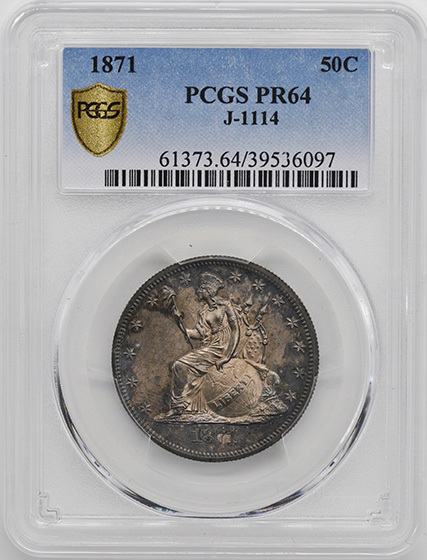 After 1885, the Mint’s output of patterns fell dramatically. Charles Barber’s designs in 1891 and a few cents and nickels in 1896 were the last to see daylight until 1906. In that year Barber made a pattern double eagle, which was embarrassingly dull compared to the following year’s awesome works by Augustus Saint-Gaudens, immortalized by the famous Extremely High Relief double eagle. Nickels made an appearance again in 1913, Panama-Pacific patterns in 1915, and new designs for the dime, quarter and half dollar in 1916 round out the list. Patterns dated after 1916 rarely appear. Many patterns never made it beyond the Mint’s doors and were often destroyed. Other pieces, perhaps more illicitly produced, frequently escaped into collectors hands. Some of these were later recovered, but of the 2,000 or so different varieties made since 1792, a large number still survive today. Sought by numismatists since the latter part of the 19th century, patterns are popularly collected in a variety of ways. Often, collectors of a particular series or denomination will acquire related issues. 1856 Flying Eagle cents, 1858 Indian Head cents and “transitional” coins fall into this category. 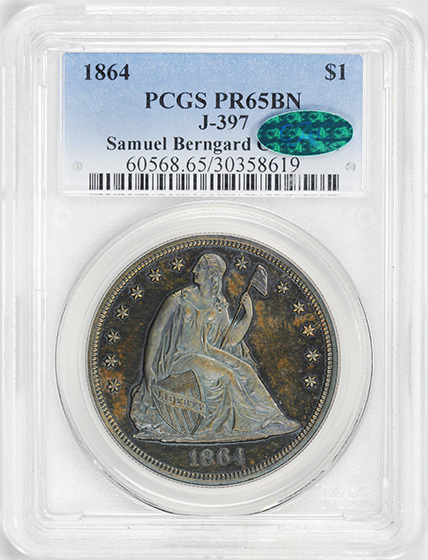 Some collectors single out a particular year’s patterns to pursue, others collect by design, and still others will often acquire the occasional odd piece that strikes their fancy. After R. Coulton Davis’ listing was published in the late 1880s, no updated study of patterns emerged until 1913, when a catalog by Edgar H. Adams and William H. Woodin appeared. Woodin, who later became Secretary of the Treasury, owned one of the greatest pattern collections of all time. Extensive collections were also formed by T. Harrison Garrett and Major Lenox Lohr. The latter had over 1,400 different examples. More recently, the 1954 sale of the Palace Collection of Egypt formed by the legendary King Farouk returned hundreds of patterns to the collecting community. Many were distributed over the following decade by dealers Sol Kaplan and Abe Kosoff. After the Farouk Sale, it was Kosoff who encouraged avid collector Dr. J. Hewitt Judd to underwrite the costs of a reference work on patterns. The new book drew heavily on the 1913 Adams/Woodin tome, but most of the new material and historical information was uncovered in the National Archives by Walter Breen. Published under Judd’s name in 1959, United States Pattern, Experimental and Trial Pieces underwent seven revisions by 1982, all orchestrated and edited by Kosoff. To date, Judd’s book has been the reference on patterns, and “Judd numbers” are commonly used today to identify the various coins. More recent editions have been edited by Q. David Bowers. In 1994, researcher Andrew Pollock’s in-depth United States Patterns and Related Issues was released. A more scholarly work, it has proved quite useful to the numismatist. Although hundreds of examples, or more, are known of several patterns, most exist in far smaller numbers. Quantifying this, both the Judd and Pollock references assign “R” or rarity scale numbers to each issue, ranging from R-1 (over 1251 known) to R-8 (1-3 known). The small number produced, combined with mishandling over the years, has taken its toll: patterns are frequently impaired to some degree. 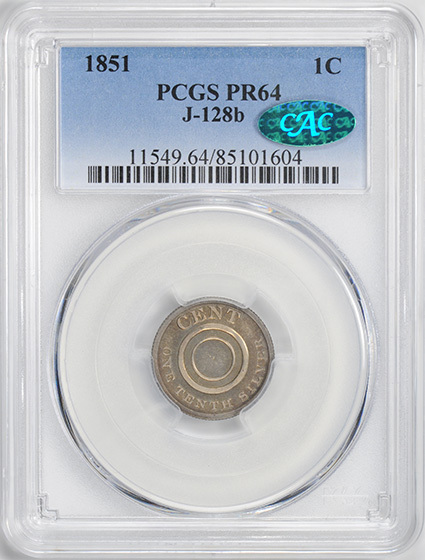 But gems do exist, and considering their rarity and desirability, are often priced quite reasonably, particularly in relation to many of their regular-issue counterparts. History, beauty and rarity: patterns encompass them all. LIBERTY DESIGN. RARITY-7. JUST 1 COIN GRADED HIGHER. J-84 RESTRIKE. GEM PROOF. RARITY-5. CAC. LONGACRE DESIGN. RARITY-7. 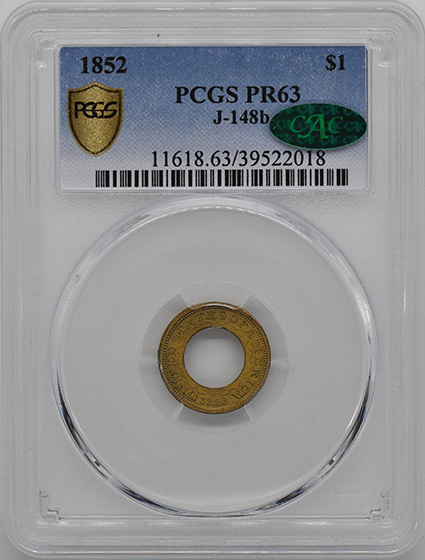 ONLY ONE COIN GRADED HIGHER AT PCGS. REGULAR DIES STRUCK IN ALUMINUM. RARITY-8. LIBERTY CAP GOLD. RARITY-5. 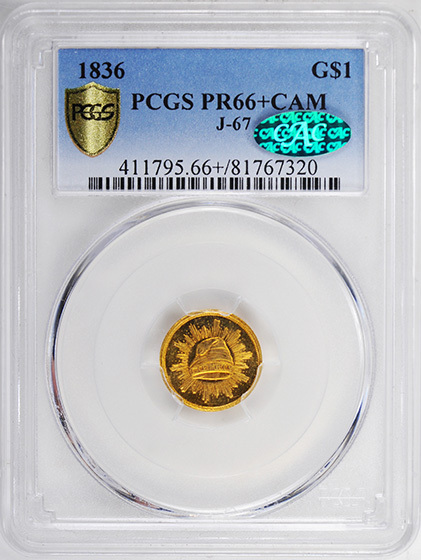 SOLE HIGHEST GRADED COIN WITH CAC STICKER. CAC. 1/10TH SILVER. VERY CHOICE. RARITY-8. ONLY ONE COIN GRADED HIGHER. CAC. GEM GOLD $1. THICK VARIETY. JUST ONE GRADED HIGHER. SOLE HIGHEST AT CAC. CAC. GEM RING $1 STRUCK IN COPPER. RARITY-7.TIED FOR HIGHEST GRADED. CAC. RARITY-8. TIED WITH 1 OTHER FOR HIGHEST GRADED. ONLY CAC. J-134 RESTRIKE. ONE OF ONLY 4 KNOWN TO EXIST. RARITY-7+. REEDED EDGE. CAC. UNIQUE. FRENCH LIBERTY HEAD. GARRETT-BASS PEDIGREE. GEM PROOF. RARITY-8. SOLE HIGHEST GRADED. CAC. BROWN. GEM TRANSITIONAL SEATED COLLAR IN COPPER. RARITY-7. CAC. GEM SURFACES. TRANSITIONAL HALF DOLLAR. RARITY-7. SOLE HIGHEST GRADED. CAC.